That’s what it’s kind of sort of supposed to sound like, I think.. based on what I’ve read in the blogging community. However, I should break it to you now. I am by no means a ‘writer.’ The worst grades I received in college were in classes that required essays. The mathematician in me says “Hold on, Megan, that doesn’t necessarily imply a causal relationship.” But I’m telling you.. those essays were rough. I do enjoy hiking, rock climbing, and snowboarding (strong supporter of the Oxford comma here). Music has been an escape of mine since age 5 when I started on piano. Since then, I’ve also picked up flute and bagpipes and I love all three. I also mentioned mathematician. Again, not quite there. My undergraduate degree was in Applied Mathematics and I am currently studying Operations Research for my Master’s. I have a favorite equation and I enjoy long conversations on simulation, optimization, and the horrific tales of statistics class. I might qualify for nerd, but I prefer enthusiastic student. So I guess I have explained my hobbies, and now I’m supposed to give a purpose for this blog. I plan to post my hiking, travelling, and climbing stories to Whistle While You Walk. However, I don’t do this in hopes of helping people learn or to give tips on something that I have only just started. I guess I’m sharing for two reasons: (1) to give myself a place to journal these experiences and (2) to provide inspiration for any daydreamers looking for places to visit. I have two other blogs, ME aGAiN and MadE aGAiN, my personal blog and my recipe/food blog respectively. I’d love to hear any comments, questions, or feedback from you. Please do not hesitate to utilize the Contact page! *I have gone so many years thinking this word is spelled j-i-s-t. Kudos to WordPress for underlining in red and props to Google for informing me of the correct spelling. I am so looking forward to following your website ! Ahw nothing akward, nice meeting you awesome pic, and looking forward to your upcoming post. Jist had me laughing.. Happens to me all the time and I always react like my entire life had been a lie. Thank you for your feedback! I am so glad I am not the only one with the “jist” experience haha. It shatters so much! First off, I can’t whistle either. Second, I never knew what an Oxford comma was, but I use it all the time, so thanks for that! And third, your blog sounds really interesting. I think it’s a whole heckuva lot different writing because you want to vs writing because you had an assignment, and you seem to be doing just fine! Thank you for comments Rachel! I totally agree that it is much easier to write about something that I choose rather than for a school assignment. Your cues in the brackets to yourself are hilarious! I don’t whistle either, and I really don’t think it’s a big deal; it’s just those who whistle make it a big deal. 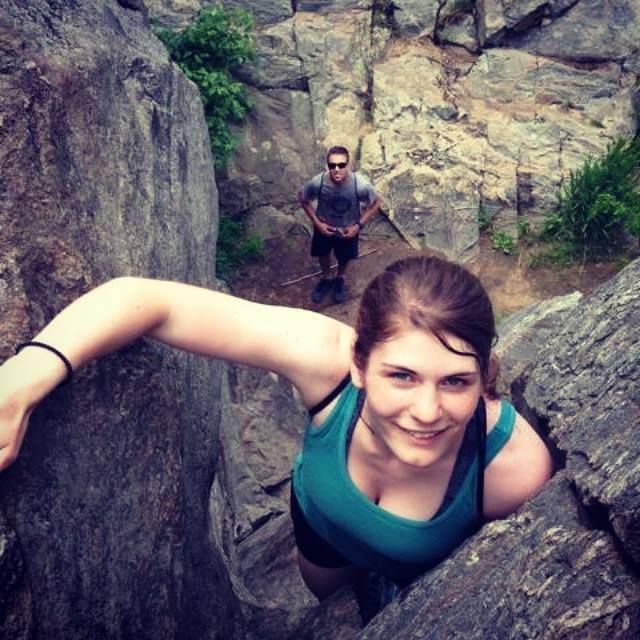 I am a nature girl myself and I love hiking and rock climbing (don’t know snowboarding as I’ve never seen snow in my life). Congratulations on your degree and good luck for your Master’s degree! Looking forward to your posts on hiking and particularly snowboarding! Love your intro and disclaimer. I’ve gotten as far as writing my About Us blog and since then I’m stuck working on those details of getting the site up and running. Same as you I don’t expect to be able to teach anybody anything. My goal is to share where life takes us and enjoy the road we travel. I like that you are going to share the experiences as they arise as I think blogging is at its best when it’s about learning not teaching. Good luck with the blog and go carefully with the climbing! You have a favourite equation? How fabulous is that! I compromise a family of mathematicians (and applied mathematicians if that’s how you describe it) but sadly it didn’t really transfer. Predictive text will be the death of me yet. You have a charming sense of humor. I look forward to your adventures!